Experience and expertise are of paramount importance for complex problems such as groundwater and soil remediation projects. Even the best solutions will not be effective if not applied correctly. With over 100 years of collective industry experience, our in-house technical team helps deliver the best site remediation results using the right combination of expertise, products and application methods. Our Oxygen Release Compound (ORC®) is the first tailored chemical in situ remediation solution in the world to be offered to environmental engineering firms. Its unique formulation is the first of its kind to provide controlled oxygen release for in situ remediation of aerobically degradable, petroleum hydrocarbon contamination. This new low-cost and in situ remediation treatment quickly becomes a replacement technology for expensive, above-ground mechanical pump and treat systems. REGENESIS develops the ground breaking Hydrogen Release Compound (HRC®) to extend its low-cost controlled release technology to the anaerobic in situ degradation of chlorinated contaminants. Several custom versions of HRC are developed to client preferences including HRC-X® for extended hydrogen release and HRC Primer® for more rapid hydrogen release. REGENESIS develops the Metals Remediation Compound (MRC®) as a cost-effective way to immobilize metals such as hex-chrome Cr(VI) from groundwater. It also has the added benefit of treating chlorinated hydrocarbon contamination. REGENESIS introduces the innovative RegenOx® as a response to increased market demand for safe, effective and easy to apply remediation solutions for high contamination levels that do not rely on aggressive chemical oxidation processes. REGENESIS develops ORC Advanced® as an upgrade to the original ORC®. It releases significantly more oxygen by weight (17% of its weight) to enable even faster aerobic bioremediation. 3-D Microemulsion is developed as a re-engineered version of HRC to allow it to be applied in higher volumes, achieve much greater subsurface distribution, and achieve greater longevity. The new high performance product enters the market at a comparable price to that of basic commodity chemicals. REGENESIS’ new Land Science Technologies division focusing on vapor intrusion solutions for the growing market of brownfields redevelopment takes immediate market leadership with its high-performance Geo-Seal® vapor barrier offering greater chemical resistance, constructability and cost-effectiveness. REGENESIS develops of PetroCleanze®, a customized formulation of the widely used RegenOx®, enabling the release of bound hydrocarbons for more effective enhanced recovery and chemical oxidation. REGENESIS develops CRS® and adds a liquid-based ISCR agent to the toolkit of integrated remediation solutions. REGENESIS develops PersulfOx®, an all-in-one product that provides powerful and highly efficient chemical oxidation performance with a built-in catalyst. REGENESIS develops RetroCoat™, a first of its kind, chemically resistant coating designed to stop vapor intrusion within existing structures. REGENESIS launches PlumeStop® Liquid Activated Carbon™. It’s an innovative, in situ remediation substrate which quickly and effectively treats contaminated groundwater and prevents the spread of contaminated plumes. 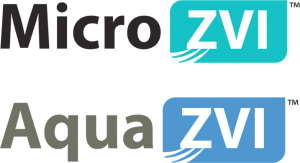 REGENESIS launches two advanced zero-valent iron (ZVI) products, AquaZVI™ and MicroZVI™ which are proven to promote In Situ Chemical Reduction (ISCR) of contaminants within the subsurface environment. REGENESIS launches PetroFix™ a cost-effective, dual-functioning activated carbon solution designed to remediate petroleum spills and provide immediate results for gas station and UST sites. Find out more about our remediation solutions. Learn more about our remediation expertise with these webinars.